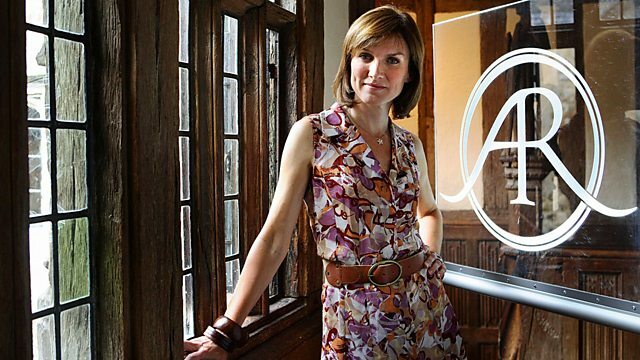 Fiona Bruce and the team visit Northern Ireland at Castle Coole near Enniskillen. Amongst the objects catching the experts' eyes are a pair of tea caddies. Browse content similar to Castle Coole 1. Check below for episodes and series from the same categories and more! Today we've headed as far west as the Roadshow has ever visited in the UK. We're in Northern Ireland, near the town of Enniskillen in Fermanagh. because even though it was built in 1789, it's still a relatively well-kept secret. Welcome to the Antiques Roadshow from Castle Coole in County Fermanagh. when they get the list of the venues the Roadshow's going to be visiting. None more so than Castle Coole. We were very keen to come here. You in particular, Christopher Payne. What makes it so special? It's one of my favourite Georgian buildings. I'd never seen it until today. Just look at it. all the way from Dorset. It came here in Lord Belmore's brig, The Martha, all the way by sea. And what about inside? Go and have a look. It's exquisite, very expensive. the First Earl of Belmore. the architect was a fashionable young Londoner called James Wyatt. Castle Coole is said to be the perfect example of his work. The fact that James Wyatt never visited here is surprising. with half-finished houses seething in his wake. that not only did he finish it, but it's also such a beautiful house. It wasn't just the house that he designed. He also had quite a lot to do with the interior as well. This room, the saloon, was the heart of the house. It was where important family gatherings were held. used to hold morning prayers. And I can see what Christopher Payne meant about the exquisite craftsmanship. from as far afield as Italy. and do their needlework, furnished in the fashionable Chinese style. I can see why our experts were so excited about seeing this place. I think it's time we joined them outside. It really is rather a special watch and chatelaine. Now tell me, what do you know about it? Nothing really at all. I found it in a cupboard. and I found this in the box and wondered what it was. Somebody must have collected this, or loved it, at some stage. Well, I presume my father bought it. so I presume he had it in the house, but I wasn't aware of it, no. So this is something you've just come across, literally discovered. So had you thought of it as a man's watch or a lady's watch? but I wasn't too sure. It might have had more little objects applied to the chatelaine. I see. It is actually English through and through, dating from 1775-1780.
but the inset stone is what we call a dendritic agate. These impurities are dendritic because they look like trees. It's from the Greek "dendron," meaning a tree. Right. What do you think of it? It's very pretty. winding through the dial, obviously, because it's a consular case. a lovely verge movement, and signed "Crosthwaite of Dublin." So having said it was English, it still is English, but he would have been the retailer of it. Ah. He didn't make this. So he didn't make it? No, he put his name to it. I see, right. It would have been a special commission. Oh. From an extremely rich client. You've never seen this thing before, it's just sitting at home. You think your father, as a clock enthusiast, found it. Well, bought it, yes. but prying hands have now found it. Absolutely, yes. it would make ?7,000 to ?9,000? and for you to have produced three things that are just so Irish. is something which you find time and time again in Ireland. Yeah. they are really fantastic, equal of anything being produced in London. just go straight into the body from that scroll. and look at that lovely little diminishing baluster just there. Had you thought about date at all? I don't know, I've had them a long time, they were handed down to me. I didn't know they were Irish until you said they were Irish! Right. Never knew that. Well, there we are. And I've had them for about 25 years, you know, in my own house. But I know nothing about them. No, no, well, you're a lucky man. No, know nothing. So you're looking at the reign of King George II with these. Yes. when you look at the actual marks. What we've got here is the figure of Hibernia, obviously for Ireland. that was introduced in 1730. They've got to be after 1730.
we've got the family crest there. but that same crest appears there. This should be your ancestry. Yeah, well, you've got to look into that. Yeah. The Irish market has... shall we say been a little bit turbulent. we should be looking in the order of ?2,000-?2,500. And for the single cup, the same sort of value. So you've got the best part of 5,000 there. Didn't cost me anything. So, there you go. What could be better? That's it. and from this rough diamond came nine very, very famous stones which are in the Crown Jewels. So tell me first, what made you buy this? and I thought it was very interesting. in the raw, before they are cut and polished. This is around about 3,106 carats. It was found...the replica... Obviously, this is a replica. Otherwise I'd be off down the road if this was a real one, right now. No, no, it was found in 1905 in South Africa. Yes. in a mine, in an open cast mine. And would it have looked like this? Yes, this is exactly how it would look. lots of heat and pressure. Yes. and it's about 160 kilometres below the earth's surface is where diamonds are formed. and he gave it to the Asscher family to cut. you can only cut a diamond with another diamond. There's two ways of cutting it. You either cut it with the grain, or against the grain. So they made the two stones that are really famous. and that's in the sceptre in the Crown Jewels. which is called the Cullinan Two, is in the Imperial State Crown. and he decided to cleave it himself. maybe, the stone, so... and it's only one blow. So he sat there, he carved a little groove in the stone. Yes. that one bang to make it split where he wanted it to split. Where he wanted it split. And the story goes that he did that, and then he fainted. As you would, and it went according to plan. Lovely silver label you have there. The hallmark is 1908, and that was when it was cut. Really? Wonderful. So that's really lovely. Yes, it is lovely. So what did you pay for it in..? I paid ?60 for it. I just love what it represents, and quite a few other people loved this as well. in the region of about ?1,000 now. Oh, my goodness, oh, my goodness. Yes, oh, it's fabulous. I can only assume you've got a very large house. You would be assuming quite wrongly, but it fits into the room. I bought it because I loved it. and then I thought, why not have it? And I bought it. Fair enough. So what happened to the suite of furniture? "I've seen something beautiful that I want, I would prefer to have,"
and he said, "That's OK," and he give me back the cheque. Well, anyway, thank you for bringing it along to us. I know already there is a signature here somewhere, isn't there? Yes. Do you know anything about Lamb of Manchester? I just knew that it was Lamb of Manchester. He pointed it out to me, but I know nothing about it. I mean, it's a very important firm, Lamb of Manchester. Oh, right, yes. They were working until around 1900. William Morris, Arts and Crafts, if you like. But this is much more a Renaissance style. Right. right at the end of their... or Lamb's life, anyway. Yeah. this does appear to be machine-carved. Yes, yes. You seem to know that. Well, I thought, looking at it, it would be. I've never found one of these machines. Oh. And I'd love to find one because I don't know how they worked, it's extraordinary. Yes. It's very regular carving, and this wonderful oak. I bet you know what the wood is. It's supposed to be burr oak. but it's beautiful quality wood, isn't it? Yes. Is this a favourite piece in the house? It is for me. I think it's like a work of art. I just sit and have a cup of coffee and enjoy it. that I get as much enjoyment out of it as he would have done creating it. That's a lovely story, it's a lovely story. I like that very much. Did you pay a lot of money for this? Well, I haven't told my husband. Is he listening? Well, I paid ?3,999 for it. So just under ?4,000 for it. Yes, yes, yes. What would the leather suite have cost you? It was something... a thousand and something. So, what would the leather suite be worth today? And you paid a lot of money for this. Yes, yes. Well, I thought I... Why shouldn't I sit and enjoy something? And the money...money be there when I'm not there. Well, I think the value is going to hold. Yes. I'm not going to value it at less than you paid for it. I don't mind. But I think around ?4,000. It seems quite a lot. Yes, yes, yes, no. It's worth a lot more than that leather suite. Yes, yes. Thank you very much indeed. Thank you very much. Take a look at these diamond rings. and one is worth ?50,000. ask our visitors here and then all will be revealed. that's been engraved into the glass. he was the Chief Physician to Queen Victoria and Prince Albert. Fantastic. And he would have looked after Prince Albert up to the time that he died. and then we've got a donor here. "From George Thompson." Do you know anything about him? No, no. He didn't come up in research. No. But another very grateful patient, perhaps. Makes sense, doesn't it? Yes, it does. Well, the clock is absolutely top of the range. This would have been a very, very generous present at the time. Right. the central one being an alarm. The hands have been changed. That's not the original hand. Right. Well, basically starting this side with the day of the week and then the date. Very nice feature, all with an engraved and machine-turned mask. as to who might have made it. is we've got two hammers striking on two bells. Do you know what I mean by that particular expression? No, no. OK, well, let's just have a look. hours and quarters, quarters only, or silent. I wasn't aware that that facility was there. Well, it's a good facility because otherwise you're going to get fed up with the quarter striking. So it's a grande sonnerie. It's a grande sonnerie carriage clock. So it's beautifully made, absolutely top of the range clock. this would be retailing for probably anything between ?9,000 and ?12,000. Very, very nice. I wasn't expecting that, actually. Were you not? No, I wasn't, no, that's very nice. It's a lovely clock. Well, thank you very much. They all look pretty nice, frankly, but a basic one worth ?2,000. The better one worth ?20,000, and the best one is worth ?50,000. Tell me which you think is which. It's just pot luck, isn't it? You think that's basic, why? It looks it. OK! If you're right... Hope that's not the most expensive one. It's very difficult because they're beautiful. I think maybe that one. The dearer of the two, more expensive. The ?50,000. I'm not sure. and it doesn't look as expensive. Is there a lady in your life? Yes, she's standing over there. Have you bought her a diamond ring? I did yes, not so long ago. So you should know what you're talking about. Well... Come on, then. She picks, I pay. I'll go with the bigger one being the basic one. Oh, really? Why? Small is best, sort of thing. Are you saying that because he's listening over there? Yeah. Fancy a diamond ring yourself? Yeah, I wouldn't mind one. they had stables in the Forbidden City. Right. So they actually had stables for them. That was, what, 1368-1644.
elephants had become really quite an important imperial symbol. with vases tied on their backs, and they symbolised peace. They have a really interesting history. How did you get them? My father-in-law bought a chest of furniture. He bought a chest of furniture? Yes, and they were in one of the drawers. So that's how they come about. That's a pretty damn good find. Extraordinary little faces they've got on them, haven't they? These date from the middle of the 19th century, they're Chinese. related to the decoration, which is this pink enamel. Yes. Which you don't see in Chinese art until after about 1720.
with all these flowers all over them and so forth. I just can't believe they turned up in a drawer. Yeah! So they've been what...passed down the family since? Yeah, my husband's. And what do you do with them now, then? They were wrapped up in a box. What, just wrapped up in a box? OK. I think you've got an amazing find there. He did extremely well. They are really quite valuable things now. and on the tail, a little break here. Yes. But it's not going to make a huge amount of difference. In auction today, I could see these making ?6,000, ?7,000. You know, the crowd behind you are far more astonished than you are. It's a lot of money to find in a drawer. It is, yeah, yeah, right. and I thought, how sweet is that? who is that little girl and why is she sitting up in bed like that? Well, it's me. It's you, you're the little girl. Yes. and I think my mother thought that I would sit still if I was in bed. Rex Whistler came round and painted my picture. You're being kept busy by cutting up little bits of coloured paper. That would keep any child busy, I'm sure. It did, yes. But how old were you? I think I was seven, six or seven. and he's signed it "Rex Whistler" on the blackboard and dated it there. I think he probably asked me to do it. I might have said, "You're painting me, now it's my turn to paint you." But it's typical of the wit that he had, isn't it? I know. That he would do that. I know. In that little thing. Don't you love the way that yellow works with the blue ribbon and the nightie and then this pink flower. the whole thing beautifully lit, and it's a painting in oils. Quite thinly painted, but beautifully glazed and finished. There's no question that you're getting better, is there? You look really healthy in there. Talking of wit, you've got a drawing there by him, haven't you? Yes, he gave it to me as a present. Let's see. So after he painted you... he gave you this. He gave me a present, yes. and illustrated with reversible faces. This is a reversible face. Yes. So on one side we've got Henry VIII...there he is. Yes. I love this. It just gets me every time. Yes. Who was very, very ugly. But didn't he call her the Mare of Flanders? That's right, and sent her straight back again. and this is the original? This isn't the print from the book? It's the original, yes. This is the actual original. He must have liked you very much. I don't know. Well, he certainly did, I would say. Right, right. So, he's a great muralist and society painter, isn't he? And isn't the cafe in The Tate painted in murals by him? That's right, yes, yes. Let's talk about the drawing first. then I'm afraid it's not in fantastic condition. It's been through the wars, hasn't it? I'm afraid it has, yes. In which case I could really only put ?1,000 to ?2,000 on it. Right. But it's still quite a lot for what it is. Amazing for the size of it, isn't it? Yes, but it's such a funny thing, I love it. Well, that's a little more difficult. I can't remember seeing anything quite as lovely as this by him. And I feel that it would make between ?6,000 and ?8,000 at auction. well, it would soar away and it may not stop until you get to ?15,000. Really? Really? Really? Well, hopefully I don't need to sell it. No. Well, thank you very much. and then the best worth a socking 50,000. It was so difficult, I have to say. and this is best because it has a slightly yellowish tinge to it, looked beautiful. That's about it, that's as scientific as it got. which is cut, clarity, colour and carat weight. All four of those elements make up to how you value a diamond. So it's not just the size of it, then? If there's inclusions... What does that mean? because that's allowing less light to come back to the eye. The colour... What you want is like an ice cube. well, that's what you're looking for with a diamond, the colour is colourless. Oh. OK. I can see which way this is going already, but right. and that's a fancy coloured diamond and it shoots up in price again. Right. the stone will actually look dull. And then the weight, the carat weight, that's obviously sort of the size of the diamond. because you might want one that's smaller but better inclusions and a whiter stone. in completely the wrong order then. Go on, move the signs, let's see. Well, you've done pretty well, actually. Have I? Yeah, you have sort of done very well. I'm going to move... That's going to stay the same. I'm going to change this one to here, and this one to here. Right. Why is this the best one, then? Because it looks quite plain. and it has a wonderful signature, Cartier. Which I didn't spot! You'd think after working on this programme for four years, I might have worked that out. Can I put this one on, just to show how fabulous it is? Yes, yes. Because I suspect it's what it looks like on the hand, look at that. how much it's sparkling. That is beautiful. It is gorgeous. OK, Mr Cartier, I didn't spot that. And for a diamond like that, you don't need a fancy setting. The diamond's doing all the talking. This one, that I thought was better because it was slightly yellowy, is the reason it's not. Exactly right. so that's why that is the second one. And this is the basic one, even though it looks the fanciest one. but the centre stone is a fake. Oh. Crafty. It's a cubic zirconia. but I thought 2,000 seems a lot for a fake but... Right. it's all in the mount. Right, right. They don't have to walk around with the real thing. The secrets of the trade! Right. So that's the basic one. I sense we have an avid collector of tea caddies here. That's correct. How long have you been after these chaps? And where did you actually get these from? They come from an auction. Is this a recent auction? It was only last week. Oh, right, oh, so right, fresh. OK, right, OK.
Well, let me have a look at them. the sarcophagus shape of this one, but let's have a look. What were they described as in the... catalogue, presumably, was it? It was tortoiseshell tea caddies. Right. Did they date them? What date do you think they are? I think about 1780, 1790. I'm not going to split hairs with you, but we would call them Regency, 1810. Yes, that's what I mean. But we're roughly in the same date as the house that we're standing in front of, yeah, yeah. These aren't old. A week? Well, they're probably older than a week. But I'm afraid they're modern copies. and I'll try and explain a few reasons why. that is fabricated date and age. The baize in here... well, that can be replaced, obviously. and usually that's gone for this period. with a circular pin and circular hole there. and the brass isn't quite right. This to me, again, the outside is the same, a bit too good to be true. I'm sorry about this. OK. When you look at that, when you think about it... Really fresh. and in hindsight, you can see how fresh that is. not unless they've been buried or something like that. I'm afraid you have two modern fakes. It's your word. I'm afraid so, they are absolutely brand new. Whether it's last year or last month, I'm not sure. And you wonder how many are around when you see these. Did you pay a lot of money for them? I wouldn't like to tell you. You're not going to tell..! Well, I wonder if there's a recourse. they shouldn't be on the market. so, you know, I think I'm going to leave the value out. They're not old. I'm afraid you were sold a pup. Tell me what you paid for them. Whisper it to me. Nobody'll hear. I'll say it out. This is for all your benefits. the smaller one was ?1,100 before fees. Thank you for being so frank with us. So you're chatting roughly ?3,000. because I think it's important that the public see what's going on. I agree with you. They're really good copies, they're fakes, they've taken you in. You're an experienced collector. We all have this problem. Not experienced enough on this occasion. Well, well, it's very important people get the very best advice. I'm very grateful you've shown them to us and to everybody else. Thank you. but these three pieces have been worn out. Give me some information about why they're so worn. They belonged to my father, and he inherited them from my great uncle. in a gentleman's residence. What, like a club? A gentlemen's club. A private gentlemen's club. Right, right. who unfortunately ran up quite a substantial account. and then on the day of presenting him with the cheque, it evaporated. Oh, dear. So what did he say to him? "Well, you've got to pay for your bill somehow or other"? "Well, have you any other means by settling your account?" and he said that he had actually three sapphire and diamond rings in platinum, and a watch. and decided to purchase them and settle the gentleman's account. Yes, it has to be said that it worked out rather well for the family, didn't it? Don't you agree? Yes. right up until about 1960. '65, he died. I think that these two rings... Now, you know what they are, they're diamond, sapphire and platinum. Yes. I think they were made in around about 1935.
this royal blue that we find with the very best of the best sapphires. Now this one is a faceted sapphire. And this one is a polished en cabochon. The diamonds are on the shoulders. Yes. they would have those sapphires polished. Right. I mean... What word could one use to describe it? It's in a mess, isn't it? It really, really is. and I thought I'll bring it along. by saying that the bracelet is simply white metal, it's steel. So there's no scrappage there, sorry to say. Let's have a look at the case. The face... You can see, it's worn out. but what I've done is, I've taken the little screws out of here. OK, right. To reveal the core, to look inside it. Now we move on to the interesting feature of this. Now remember the man who owned it in the first place before your great uncle. Yes, the gentleman. Now, do you see that mark there? Yes. That little stamp there, platinum. Definitely. Now, that's a bit classy. that's been stamped onto the case at the back. Right. So we're moving things up a stage, this is numbered. OK. Platinum and 18 carat gold. And the little mark there is French. was to have a look at the movement. Now, you're going to be disappointed. Not signed. Oh, right. But the movement is by something called the European Watch and Clock Company Ltd.
for a very significant company. Shall we move on to values? I'm scared now. This is stored in the garage. It ain't going to be stored in the garage any more, that's for sure. It's been 30 years in our garage. Right. I'm scared. This is going to be...in its existing state ?1,000 to ?1,500. it's got a real glow of blue to it. ?1,500 to ?2,000, I suppose, something like that. Now, do you remember I told you about the European Watch Company? Yes. They used to make movements for a company called Cartier. Are you ready? No, I'm not! Can we have them fixed? so that they can state categorically that it is their watch. all the factors in place, so what are we talking about here? oh, I don't know, ?7,500 to ?10,000. Thank you very much, John. Thank you. Thank you very much. You're a treasure. What a great result for those two ladies. That was just fantastic. that must have been one heck of a bar bill! Fiona Bruce and the team visit Northern Ireland for a busy day of evaluations at Castle Coole near Enniskillen. Amongst the objects catching the experts' eyes are a pair of tea caddies that raise suspicions, a valuable carriage clock with royal association, and a watch and two rings accepted as payment for an unpaid bar bill which provide a surprise ending.